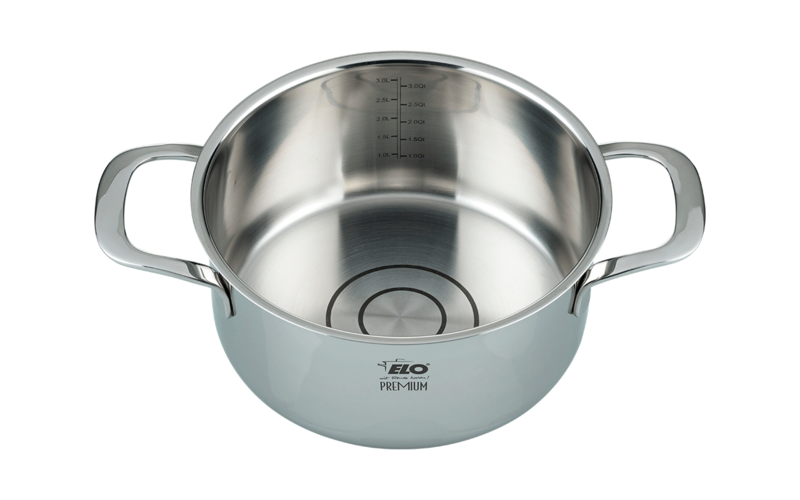 High quality and functionality are key to the cooking pots Silicano+ from ELO. They distinguish themselves by the integrated system for the oil dosage. At the bottom of the pot, there are two rings: the small ring represents a teaspoon full of oil, the large one a tablespoon. For a health-oriented cooking, oil can be measured without any measuring device. The Silicano+ pots feature a copper core in their bottom, which creates a steady distribution of the heat. Inside, they are high-gloss polished and have a litre scale. Cast stainless steel handles and a glass top with silicone needle strips round off the feature list on a high level.